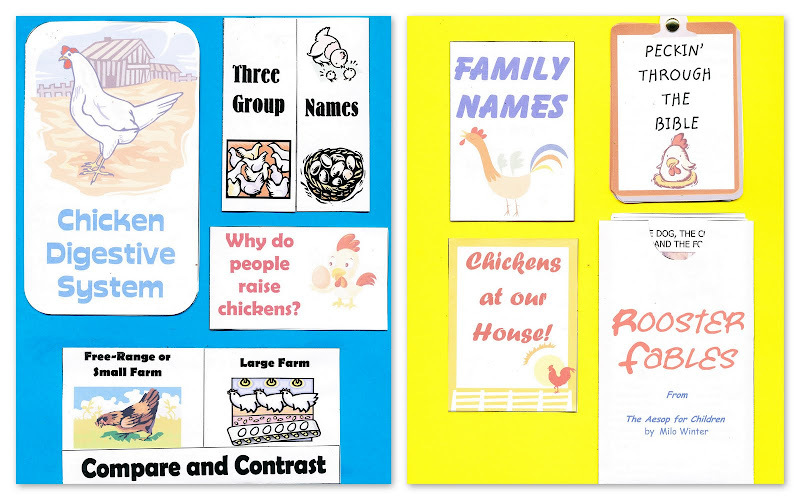 We recently bought a brood of baby chicks to raise for eggs so I thought a unit study on chickens would be a good idea. 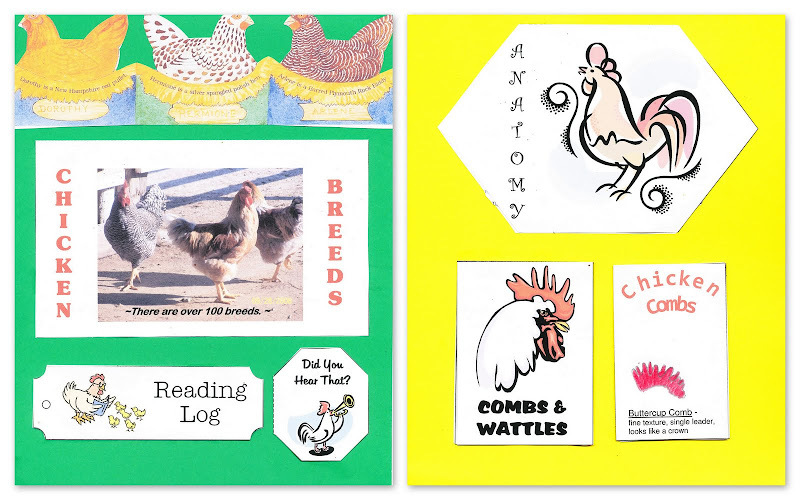 We read Chicks & Chickens by Gail Gibbons, completed a lapbook/journal on chickens, and did some eggsperiments. I included all the children in this unit. 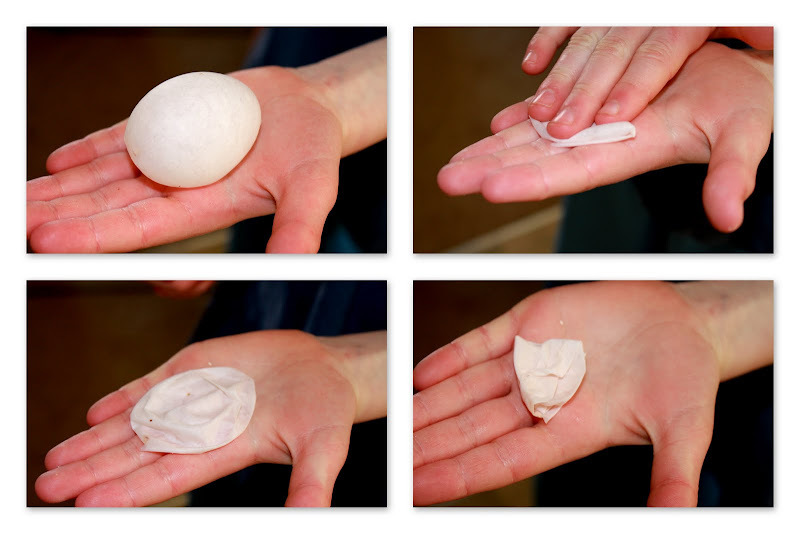 Squeeze an Egg Without Breaking It - it's not hard to do! An eggshell is pretty tough. Hardboiled or Raw? 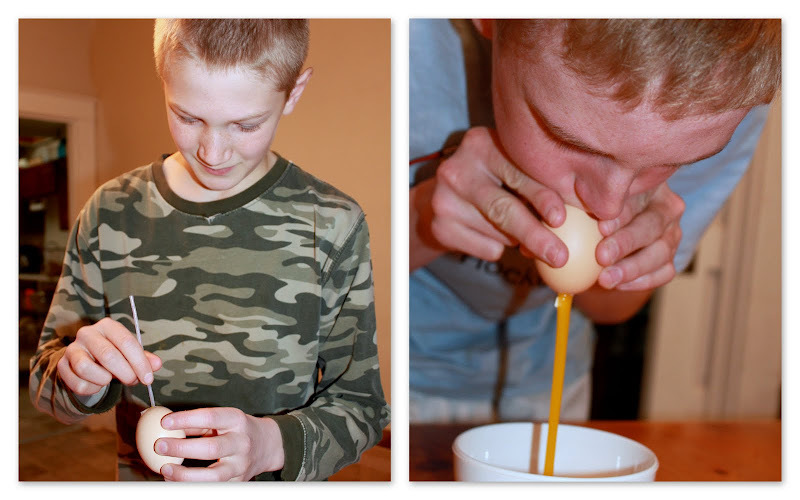 We did the spin trick - a raw egg is supposed to keep spinning (because of the momentum of the raw egg yolk). 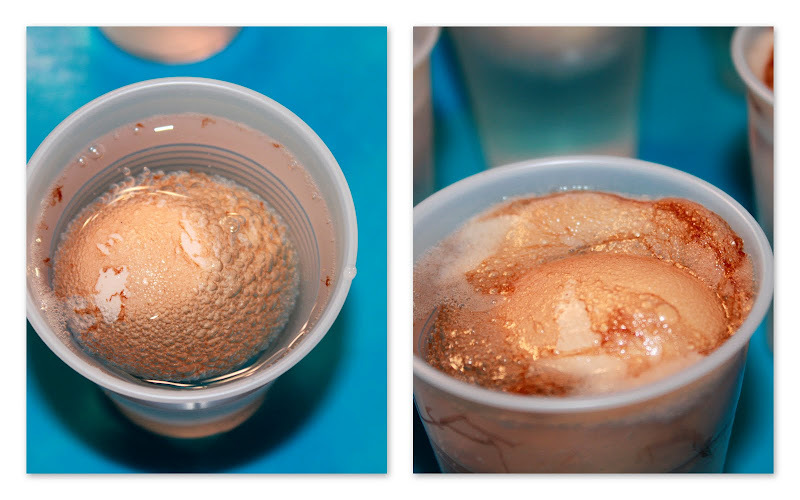 The Floating Egg - Jordan actually did this one as a part of his General Science. We thought it was a cool effect to do this with a brown egg. The Folded Egg (Same as the Naked Egg, but with a blown egg with the egg yolk and egg white removed). We also watched several videos on You Tube including one on candling and one on the stages of chick embryonic growth. Now that the weather is warmer, we have been taking the chickens outside for a short time. We are slowly decreasing the temperature of the brooder box so that they can move outside (the sooner the better since they are flying out of their box). You can see how much they have grown, how we are feeding them and how much my dd loves them, from my post here: Spring Chicks. 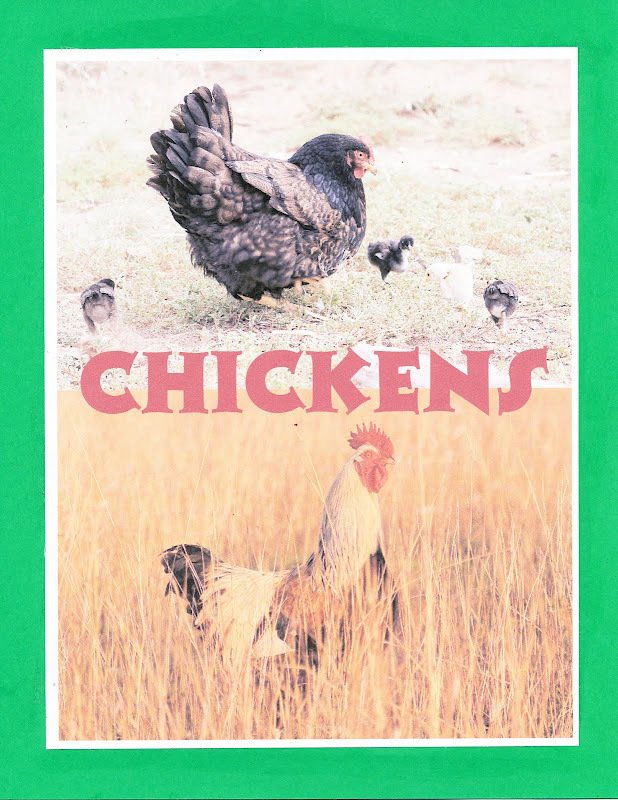 Our total brood is 5 New Hampshire Reds, 4 Australorps, 3 Barred Rocks, 3 White Plymouth Rocks, and 2 Light Brahmas. Pictured above (L to R) are a NHR, an Australorp, and a White Plymouth Rock. The kids have named them, but I can't keep track of who is who. The next phase of our unit study is to repurpose the shed in the back yard for a chicken coop and install a small chicken run. 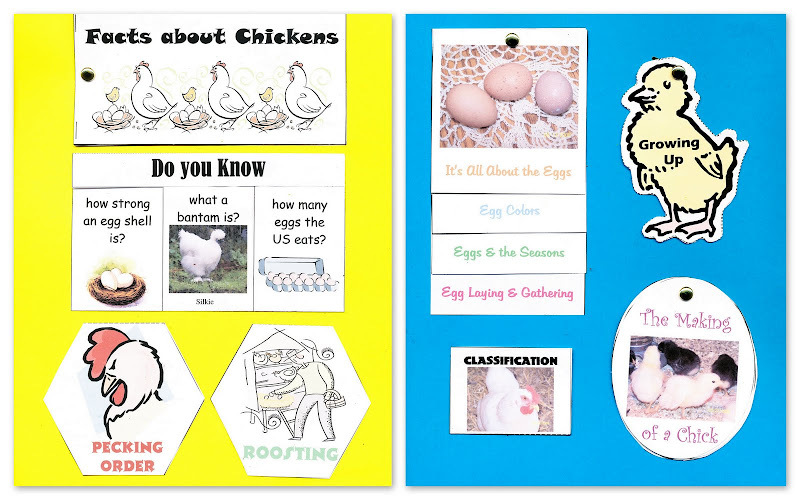 I am excited to try this out after reading our Usborne Eggs and Chicks book! We watched a few videos and I think we are ready to do some lapbooking and experiments!